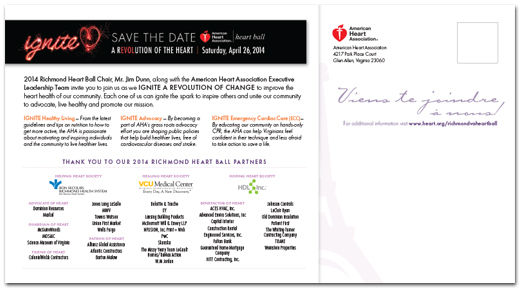 This is a 6×11 postcard save the date for the American Heart Association’s Richmond Heart Ball. The theme this year is IGNITE a Revolution of the Heart with a focus on France. 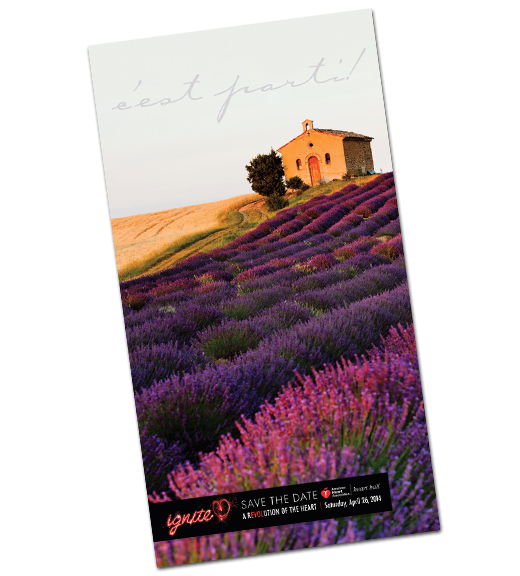 The long sleek size of the postcard helps to accentuate the beauty of the field lavender and add a feeling of relaxation.